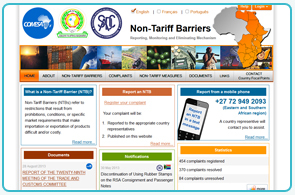 Non-Tariff Barriers (NTBs) refer to restrictions that result from prohibitions, conditions, or specific market requirements that make importation or exportation of products difficult and/or costly. COMESA, EAC and SADC are implementing a Non-Tariff Barriers (NTBs) reporting, monitoring and eliminating mechanism which incorporates concrete timelines for the removal of NTBs. Complainants can also alert the system of NTB's via a SMS-based system. 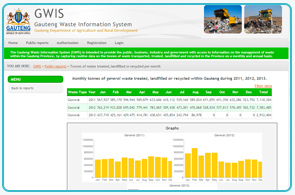 The Gauteng Waste Information System (GWIS) was developed for the Gauteng Department of Agriculture and Rural Development (GDARD). GWIS allows various stakeholders in the waste management industry to register on the system. The stakeholders that should register are governed by various Provincial Regulations. Milk SA promotes the image and consumption of South African dairy products amongst consumers and the broader population and renders services to industry participants, consumers and the broader South African population. 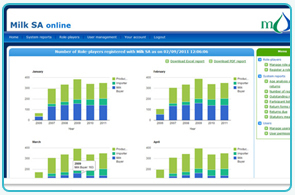 Octoplus designed and developed an information management system for Milk SA to assist in managing the data collected from milk buyers, importer and producer-distributors. 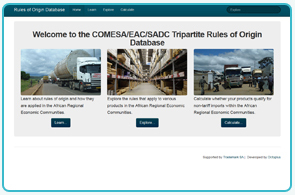 Octoplus designed and developed a Rules of Origin Database that contains the rules of origin applied under the preferential trading arrangements of the three Regional Economic Communities and rules of origin applied under the Generalized System of Preferences Scheme of the European Union (EU-GSP) and the American Growth and Opportunity Act (AGOA). It is being used to ascertain the rules of origin applicable under each preferential trade regime for exports to a target market or imports into a specific country. Rules can be compared across Regional Economic Communities and other important trading partners to facilitate negotiations for the Tripartite Free Trade Area. Octoplus developed and maintains the HEQC-online system which allows South African higher education institutions to submit applications for accreditation of programmes to the Higher Education Quality Committee (HEQC) of the Council on Higher Education (CHE). 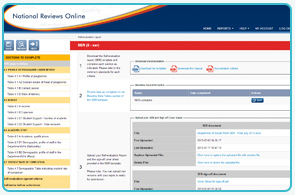 This on-line system was launched in 2004 and not only allows the internal staff to manage their work processes on-line but also facilitates the management of committee meetings. 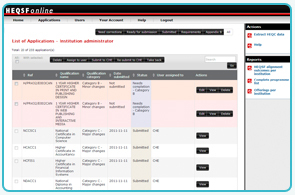 Octoplus developed and maintains the HEQF-Online web-based application system that allows public and private higher education providers to submit applications for the HEQF-alignment of programmes online. 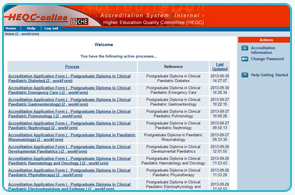 Octoplus developed and maintains the National Reviews-Online web-based application system that supports the process of programme re-accreditation as per the Framework for the National Review of Programmes. The national review of the Bachelor of Social Work (BSW) programme is the first national review (NR) project to go online.